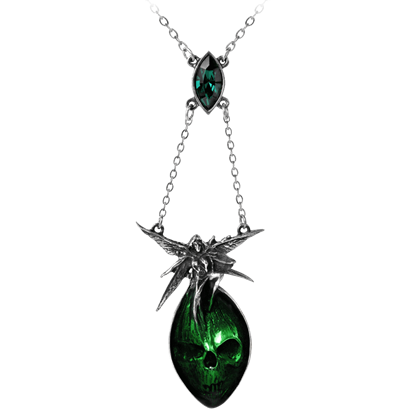 We have many appealing styles of gothic pendants. 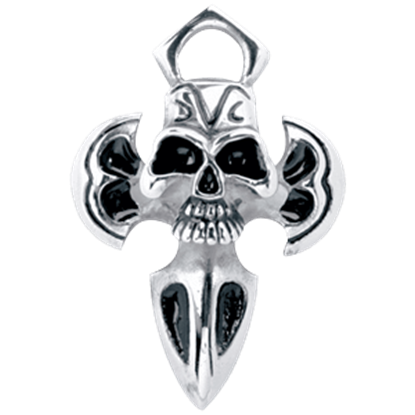 Our variety of eye-catching gothic necklaces and pendants come at affordable prices, especially for their level of detail and craftsmanship. 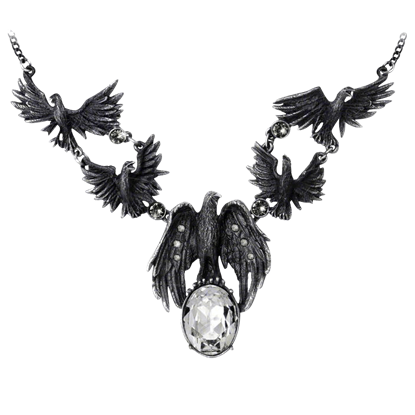 Many of our goth pendants are cast from fine English pewter, and a number of them also feature sparkling Swarovski crystals, enamel, beads, and other accents. 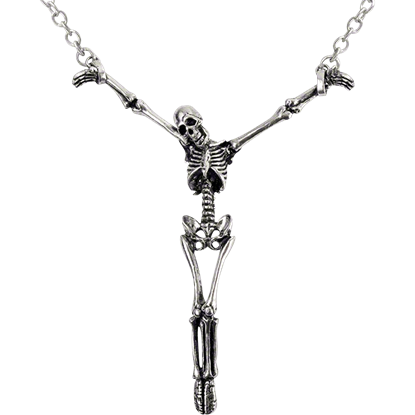 We offer goth necklaces that come on a chain, cord, or ribbon, as well as goth pendants that are sold individually. 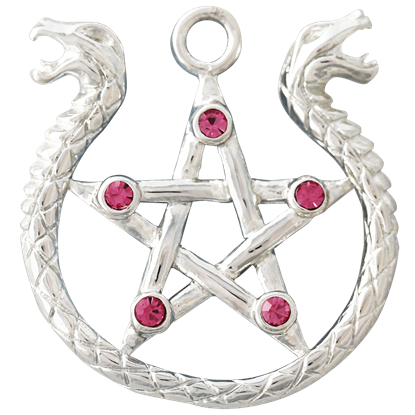 Our gothic bat pendants, gothic cross pendants, gothic dragon pendants, gothic pentagram pendants, gothic skull pendants, gothic spider pendants, and other striking pieces ensure that there is something to suit any taste. 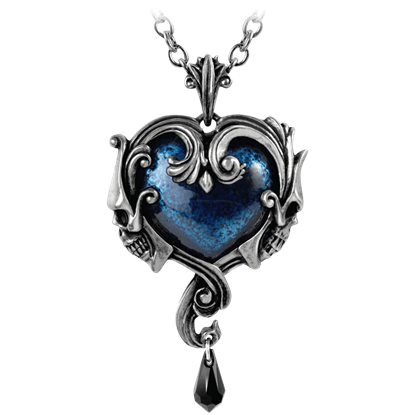 Pick one out as a personal accessory, or choose one to be a stunning gothic gift for a special someone! 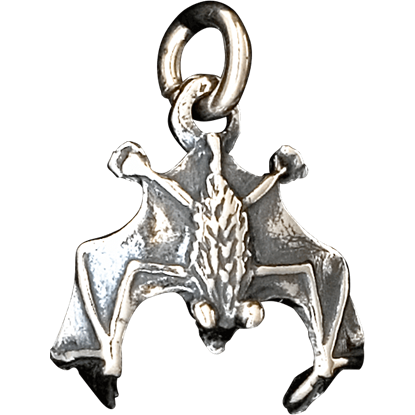 The 3D Bat Pendant may look like he is hanging in a cave but instead he is waiting to enhance your look. 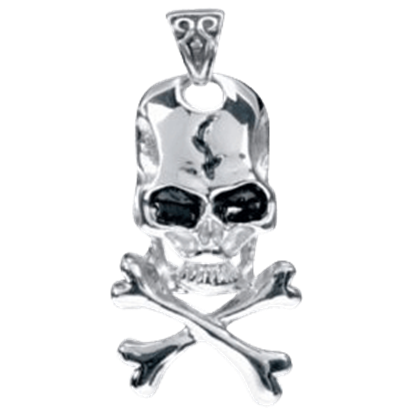 This pendant is sure to make you the topic of conversation as you proudly wear this unique accent piece in public. 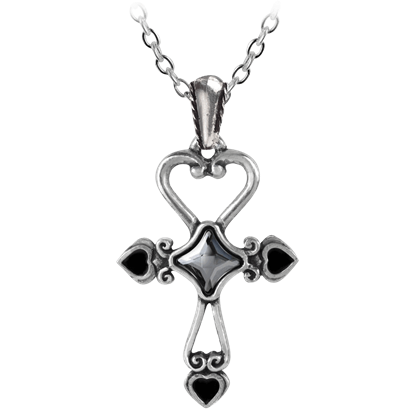 Love everlasting, the Amour Ankh Necklace combines the ancient Egyptian symbol of eternity, the Ankh, with a heart of romantic love to form a powerful talisman for undying romance, such as the mythical love between Isis and Osiris. Two heads, they say, are better than one. 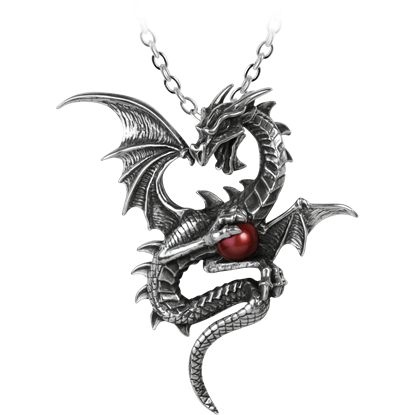 This Amphisbaena Necklace By Anne Stokes is proof of that, as its double-headed design is supposed to promote awareness, while the pentagram provides added power to its supernal, mystic design. 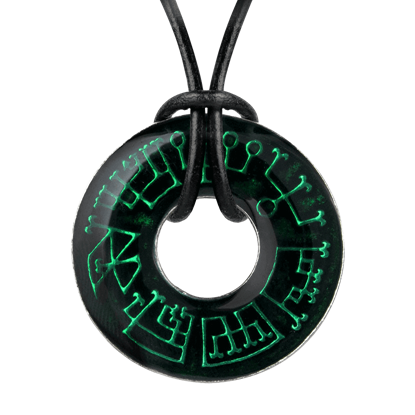 The Angel Ring Necklace displays the symbols of the seven planetary angels in bright green enamel over the surface of the black loop. 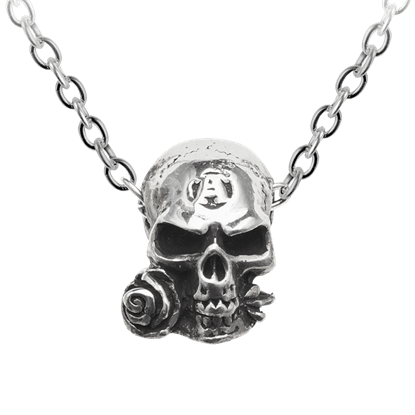 The reverse side is inscribed with their respective names, planets, and days.